Sabah Abu Halima has weekly physiotherapy sessions and regular visits to the Shiba hospital for treatment on her injuries from white phosphorus sustained during the war. Sabah and her family live in a rural community in the north of Gaza on the border with Israel. Hers was a simple existence that revolved around her family. “We had a happy home I lived in this house with my husband and children and we lived in security. I was the happiest person in the world,” she says. But all of that changed when on January 4 when the Israeli army entered the village of Siyafa under the cover of a white phosphorus smokescreen. “At first I saw the white phosphorus shells, they fired them here nearby over the farmland, my daughter in law called me over and said look at what the Israelis are doing, we thought they were celebrating we were on the balcony and saw it land in the fields,” she recalls. The shell took the lives of five members of Sabah’s family. Her husband and four of her children including her youngest daughter, Shahed, who was only 15 months old. Her other two sons Youssef and Ali narrowly escaped. “I was in a lot of pain we were all crying,” Youssef says. “We tried to save my father and Abed but we couldn’t as they were on fire. The war has changed the life of Sabah’s son 18-year-old Omar. He has dropped out of school and now works with his older brother on their small plot of land. We used to depend on my father and now we rely on my brother to do the work, so yes I can go to school but psychologically I am tired I am worn out,” he says. “I can’t open my books because of what I saw, my father died in front of me and I had to drag his body out my brothers and sister died and I had to drag them out of the flames. The loss of her only daughter who died in her arms has been the hardest the bear for Sabah. “We use to love each other, we all looked after Shahed we used to always buy her biscuits and Chips I really loved her,” she says. Omar says he “lost his mind” when his sister died. The Israeli army has disciplined two high-ranking officers for firing artillery shells at populated areas during the Gaza offensive last year, according to local media. The Haaretz newspaper website said on Monday that a military inquiry concluded that a division commander and a brigade commander endangered human life by firing highly incendiary weapons towards a compound run by a UN aid agency. But the Israeli military spokesman’s office said the army had reprimanded Brigadier General Eyal Eisenberg and Brigade Commander Ilan Malka for using artillery in built-up areas – and not for using white phosphorous weapons. “With respect to exploding munitions containing white phosphorous, the Military Advocate General concluded that the use of this weapon in the operation was consistent with Israel’s obligations under international law”, the military office statement said. 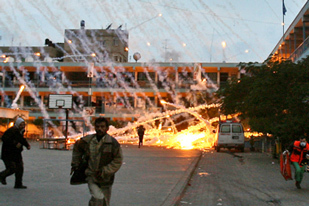 However, the army does not dispute that white phosphorous was used in Gaza and has submitted its report to the UN. 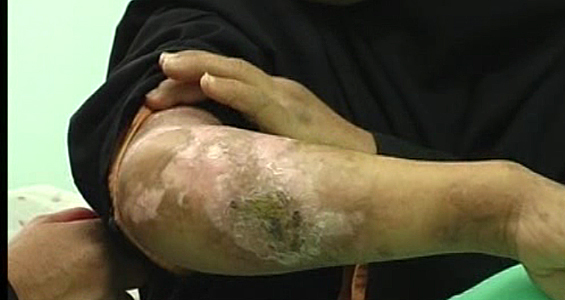 Many human rights organisations had accused the Israeli army of illegally using phosphorous munitions, which caused severe burned injuries among the Palestinian population. However, the Israeli army justified its actions by saying that similar shells were in use by other Western armies and that the munitions were used in remote locations in the Gaza Strip. Al Jazeera’s Jacky Rowland reporting from Jerusalem, said: “We must stress that the Israeli army is investigating itself. This is not in anyway an independent inquiry. “When you bear in mind that a number of human rights groups identified what they described as a systematic, random and wide-ranging use of the chemical, the Israeli report just focuses on this one incident and two individuals being disciplined. The development comes as a deadline looms for Ban Ki-moon, the UN secretary-general, to address the General Assembly with his own report on Gaza. The occupied Palestinian territory has a high population density and limited land access. With the conclusion of the Gaza offensive, dubbed Operation Cast Lead, Gabi Ashkenazi, the Israeli army chief, ordered the convening of five special investigative committees, Israel’s report to the UN said. One of the committees examined the use of phosphorus shells. The members noted in their findings that the two army officers, in approving the firing of phosphorus shells, were guilty of “exceeding their authority in a manner that jeopardised the lives of others”. Gideon Levy, a Haaretz political analyst, told Al Jazeera: “This is the first time that Israel has admitted it did something wrong. This by itself is a progressive step. The Goldstone report, requested by the Geneva-based UN Human Rights Council, was put together by an expert panel headed by Richard Goldstone, a South African jurist. Based on its findings in Gaza, the committee accused both Israel and Palestinian fighters of committing war crimes during the Gaza war, which lasted from December 27, 2008, to January 18, 2009. Initially, Israel refused to co-operate with Goldstone and angrily rejected his findings. But after the General Assembly urged in November both Israel and the Palestinians to investigate Goldstone’s charges, Israel decided it would provide Ban with information on the Gaza offensive. Yigal Palmor, the Israeli foreign ministry spokesman, said the country’s response, defends Israel’s investigations of its offensive, but does not address the international body’s main demand – the creation of an independent commission of inquiry. “The decision to establish a commission of inquiry must be made by Benjamin Netanyahu, the Israeli prime minister, he said. Gaza has no other option left, but to carry the struggle on with all means as long as 1.5 million Palestinian are living under such amount of hardship in the Gaza Strip and as long as the Palestinian rights still not recognized both in Gaza and West Bank. They think that the ongoing siege on the Strip will break the will of Palestinian. They thought before that the bombardment of the populated areas by the white phosphors and killing kids, women, young and old will result in getting peace between the two sides. 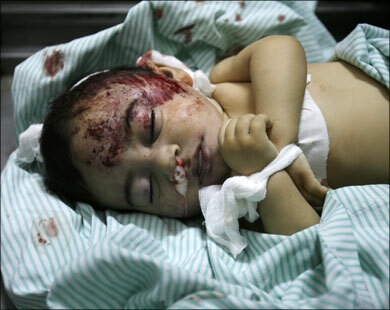 They have forgotten that this will but create and increase hatred within every Palestinian new born kid.